This is one that I was actually looking forward to seeing even before it won best Oscar but then having won best Oscar made it something I wanted to see even more. As a note I am not getting into how the film is not very historically accurate, especially in regards to how the Iranians were displayed, nor will I get into how the movie glosses over how much work the Canadian government actually did to help. Heading into the movie, I only knew the smallest amount of the plot. I knew about the hostage crisis taking place during the 1979 revolution, but I didn't know any details on how many people, how long, if they survived, etc, and I knew nothing of the 6 people that escaped the embassy early on that the movie focuses on. I guess I was naïve about it, and since it happened when I was born I missed out on all the news coverage going on at the time, although no one really knew about the 6 escapees until 17 years later when the operation was declassified. This makes me wonder how much information there is that is classified and what it is all about, it often seems that some fairly innocuous information is kept classified for much longer than it needs to be. The plot, as I am sure you all know, is about the CIA making a fake movie production for a sci-fi movie called Argo in order to break out the 6 escapees. The first half of the movie is the set up and how they go about getting the fake movie put together. Then the second half is the operation in Iran. And that's about all there is to it. The movie feels real quick, not slow anywhere, but not as quick as an action movie, so the pacing is great. The acting is good throughout, the directing was good, overall a real good production. The story was interesting, in that I didn't know any details of it, and it kept me generally interested, but not to the extent of really great movies that I just love to watch over and over. This is a one and done kind of movie. I don't think I will ever watch it again, although watching the special features will probably be really interesting, since I am far more interested in what actually happened than the dramatic production that this film was. That all being said, I don't know if that makes or breaks a best picture. Does it have to be something worth sitting through multiple times? Generally I would say yes, but it also depends on what else was out that year. 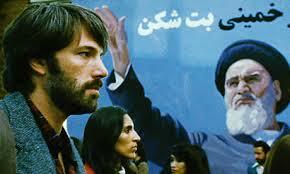 And as we go through that list, I don't think there was anything as good as Argo. So it kind of wins by default. Argo is certainly better than Django Unchained, as much as I love Tarantino films that one was just too long and silly at the end. It is most definitely better than Life of Pi, that movie was so boring I could only sit through the first half of it, even though I loved the book. I guess the transition from book to film just doesn't work well in some instances. I haven't seen the other nominees, but the only others that I could imagine that could come close to best picture are Lincoln and Zero Dark Thirty, which is another classified spy take down production. I would agree with the Academy on this one, but asterisk by saying it wins since it is better than the rest this year and not that it was an outstanding movie, but still enjoyable.